Hey, young bloods! Whether you're a lifestyle, literature, or fandom blog, blog design is one of the most important aspects of your brand. Your design is the first thing someone notices when someone comes to your site - and perhaps the biggest factor in whether they leave or stay. As a result, blog design is something I used to dread, but recently I've developed a huge love for it. Here are a few tips + tricks I've picked up while researching blog design - I hope some of them can help you! 1. Keep it focused. Make sure your design is focused and clean - figure out where you want the reader to look and pick a design that ensures they're looking there pretty much all the time. 2. 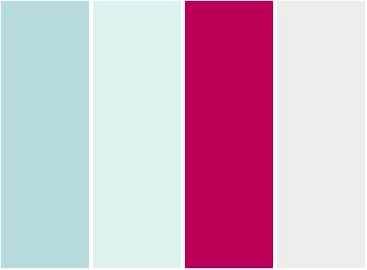 Pick a coherent color scheme. 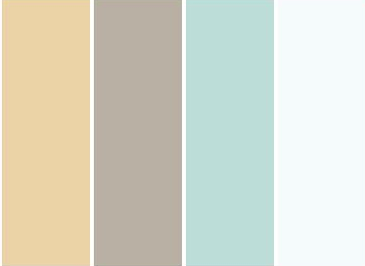 Pick a clean and aesthetically pleasing color scheme - usually, this can be accomplished by picking two neutrals (for me, that's white and grey) and one or two non-neutral colors (sea green). 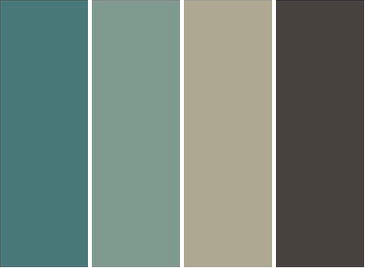 The neutrals give the design a sleek and professional look, and the pops of color give off a creative and friendly vibe. 3. Break up long paragraphs. Readers will flinch away from long paragraphs of text, no matter how interesting your content is. Breaking up your posts with lists, bullet points, sub headings, and images helps keep your readers engaged. 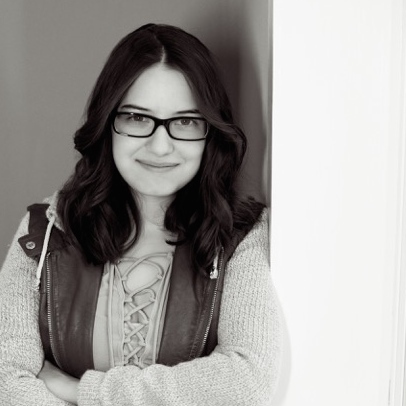 With my post on mental illness in YA, I could easily have ended up with long, hard-to-read paragraphs of text. Instead, I created several graphics to sprinkle in between the paragraphs and also made use of sub headings. This made the post more interesting to look at and read. 4. 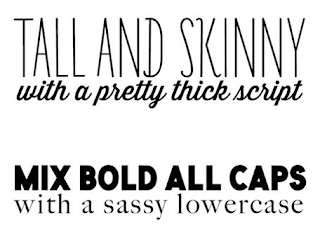 Mix opposite fonts. 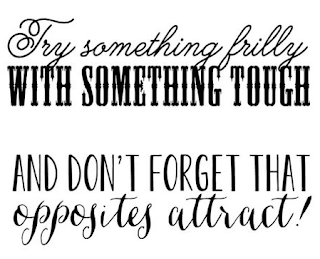 With font mixing, opposites usually attract - a cursive scrawl balances out a professional sans serif, and a taller font looks good with a shorter one. 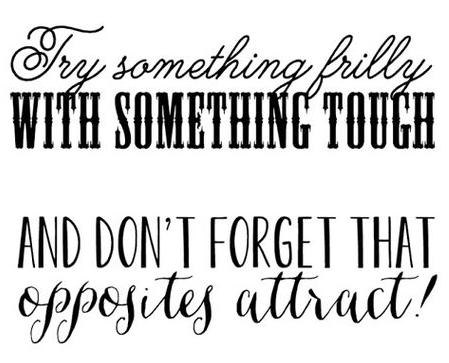 Below, I've included a handy guide for different ways you can mix fonts + examples of what might look good. 5. Make it unique! Experiment with atypical layouts and graphics. Push aside your preconceptions about what a blog "should" look like and focus instead on what you want it to look like. A unique blog design intrigues the reader - just make sure it's still easy to read. Ava @ Quiet Land is someone who I think strikes the balance between unique and readable exceptionally well. What are some of your blog design tips? Comment below - let's help each other out! This was a really helpful post! Recently I've been thinking about re-doing my blog design - I just feel like it looks too cluttered at the moment. Hmm, my tips? Don't make your background too distracting. When I was starting out, I had a really distracting background and a couple of people told me that it put them off reading my blog. Again, thanks for the advice! I think it'll really help me with m blog design. I hope you don't mind me asking, but how did you create your header? The way I'm doing it (using Paint :/ ) makes the image slightly blurry, but yours looks fantastic. What did you use to create it? Thank you; I'm glad you enjoyed it! That's a really great tip as well! These are some super helpful tips!! Actually, it isn't mine - I found it on Pinterest, though I don't know who the original source is. This is a wonderful post Ellie and I.couldn't agree more. When it comes to design, keep it simple, clean and less really is more. 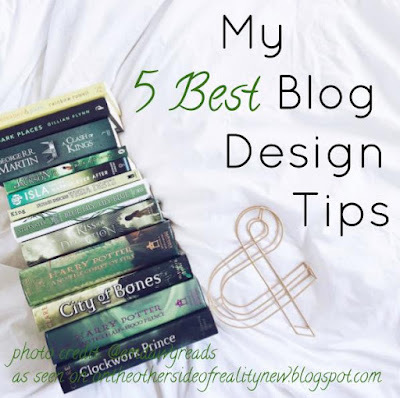 My blog is basically clean fonts and bare bones, as I feel the book covers for reviews are what I want readers to focus on, rather than a pretty banner. A great program I wouldn't be without is Inkscape. It's free to download and perfect for making graphics, banners and even fixing up photos. You can also use AI files with it as well, so no need to fork out for expensive programs just to maintain a blog. I've never tried that before, but I'll definitely have to check it out! Super awesome post and tips! These tips were all quite wonderful. Where do you get your fonts, or are they just built in with your computer? The ones I'm using now were built into the template I downloaded, but I know Blogger also provides quite a few during template customization (if you choose to go with one of their templates). You can also download tons more here, although I've never done that and I've heard it can make your blog take longer to load. Wow this is great! And I totally agree on breaking up long paragraphs... although, I must say I'm guilty of writing long paragraphs myself! Often times I'm just lazy to go back and edit my posts... I know, it's awful! 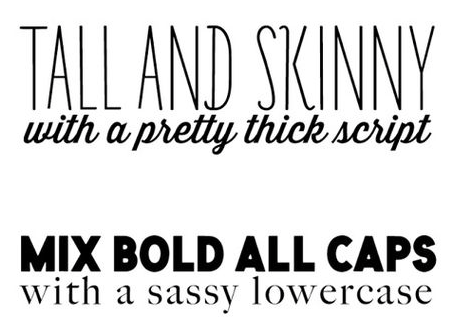 I also like your font selections, they are contrasting, yet complement each other. Good roundup of key points here! Great pointers! And very handy for new bloggers such as myself.